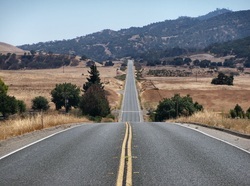 Let me help you write your business plan - If you are feeling lost on the road to getting your business open. I'm here to help! I've helped over 100 businesses to get those doors open over the last thirty-five years and I can help you! It all starts with a well written business plan. Let me help you! Let me write your business plan. I've helped over 100 businesses to get open and a well written business plan is essential for a successful business start. I can help you navigate that long road to success. A business plan doesn't guarantee success but it can increase your chances of making it. We've all heard the statistics for small business that only 50% of all new businesses are still open after two years. That's because most of those closed businesses didn't prepare well enough before opening. They didn't take the time to plan. They didn't write a "business plan". My data shows that armed with a good business plan the success rate is closer to 80%. It's still risky to go into business but you can increase your chance of success by writing a business plan. What's more, I can show you how to assess the business opportunity through the business plan process before you start spending a lot of money needlessly. That's right, before you start spending a lot of money! How? All made possible by forty years of business experience and proven track record. Let's get started writing that business plan!